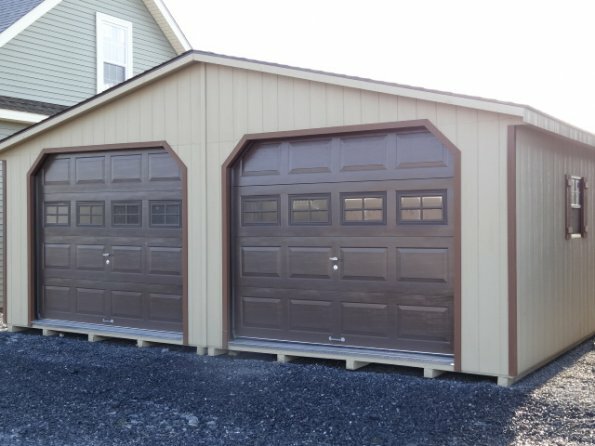 24x26 modular garage with 3/4" pressure treated ply wood floor, 2- 9x7'6"(upgrade from standard 9x7) raised panel garage doors with glass, diamond plates and PT ramps, 4 windows with shutters, 36" entry door. Price includes delivery to your property and set up. display model only, orders take 4 to 6 weeks.